When elevator doors open 120 feet above Market Street to unparalleled views of the City by the Bay, you’ve entered your new social playground. 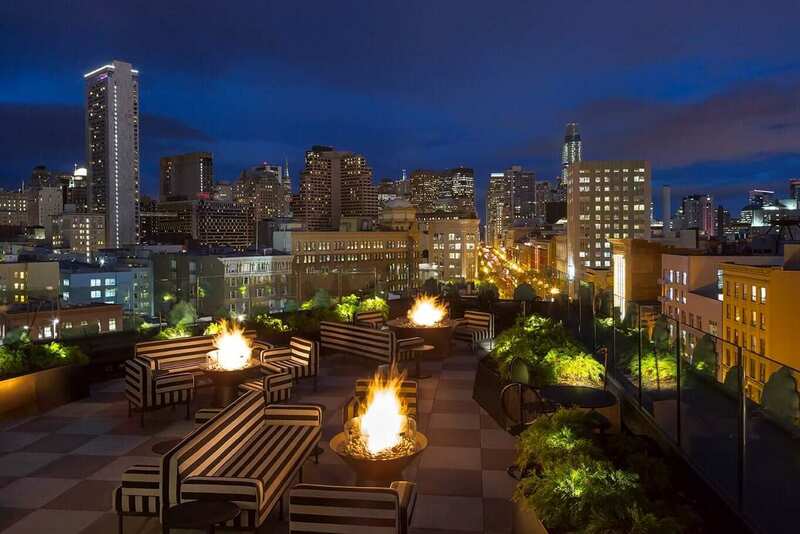 Charmaine’s is the rooftop bar and lounge San Francisco has been waiting for, where the energetic culture and chic of a European terrace meets the laid-back “California cool” lifestyle. Cocktails by Josh Harris and Morgan Schick of BVHospitality match the romance of the setting, featuring the vibrant flavors, original combinations, and unique ingredients for which the duo is known. Elevated bar snacks are easy to share around the fire pits and sculptural tables. At Charmaine’s, feel free to dress up, but let your hair down a little. We won’t tell.